Mumbai, May 21 (IANS) The ash clouds, which are hovering over Europe, are playing havoc with Pankaj Kapoor's directorial debut "Mausam" that stars his son Shahid in the main lead. The film was meant to start with a brief schedule last month in Scotland but ash-clouds enveloped the European skies and the schedule had to be cancelled in the hope that the "Mausam" team will make up for lost time in the next schedule. However, Shahid and his father's proposed travel plans to Scotland this week had to be cancelled again because of the ash clouds. The "Mausam" crew was booked to travel to Edinburgh May 16. For the second time their trip was cancelled. Shahid and his father are now scheduled to fly to Scotland Saturday. Meanwhile, Shahid is just chilling. "I'm just chilling with family and friends. There's no point worrying about things that are out of one's control," he said. Iranian bride for Shahid Kapoor? Obsessed with Sasha, Iranian woman tore her passport just to stay in the country; writes poems and has imaginary love chats with the star. True stories can, sometimes, make the filmiest Bollywood plot pale in comparison and Parvaneh Morteza Faghiri's is one such story. The 39-year-old from Iran, who flew down to the city for the second time on May 7 to meet her 'one true love' Shahid Kapoor, is now in a rescue home and the Sahar police are completing formalities to send her back to Iran today. Parvaneh says she saw Shahid on television and fell in love with him instantly because she found him romantic. Though she was married to an Iranian man and had a 15-year-old daughter, Zaara, she felt her husband did not love her and, thus decided to leave him. In February last year, she flew down to Mumbai to meet the actor and convince him to marry her. 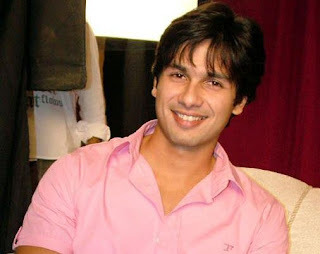 She said that during her last trip to the city, she had showed people Shahid's photographs and asked for his address." According to her, one of the high points of her last trip was seeing Shahid at the airport once. She kept shouting out his name and he smiled in return. When Shahid was leaving, she shouted out again and he gave her another smile," said an official from the rescue home in Kandivli where Parvaneh has been staying. Parvaneh landed at the Sahar airport on May 7 and immediately started telling people that she wanted to meet Shahid. The Sahar police then took her to the police station, where she kept insisting that she be allowed to meet the actor. On being told that she would be sent back to Iran immediately, she tore up her passport.